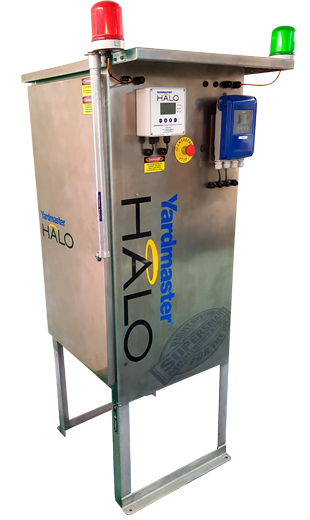 YARDMASTER® HALO® provides next generation monitoring and control of your Dairy Effluent system. 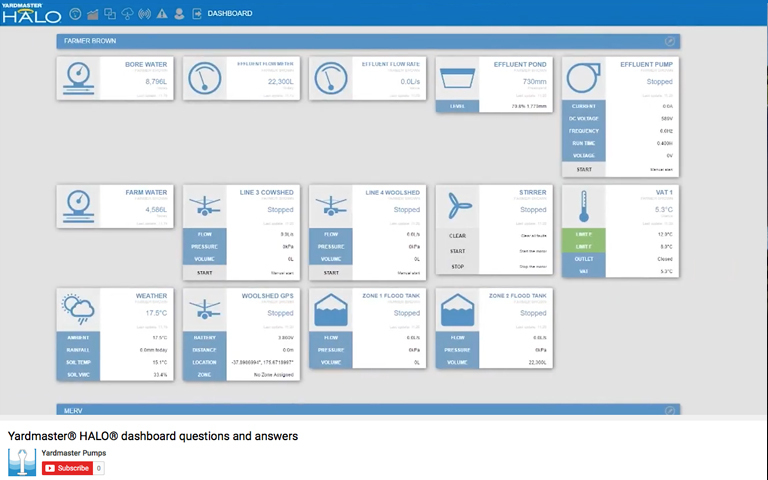 The SUPERSMART Monitoring & Control platform can be tailored to match the requirements of your farm and you can choose from a range of additional options. Control of multiple product flows so the power is delivered where needed. 11kW, 15kW, 18.5kW and 22kW VSD pump controller. All capable of running a 7.5kW DOL stirrer in tandem. COMPLIANCE: As compliance requirements develop our SuperSmart technology is ready to go. With unlimited cloud-based storage of all your effluent data ready to be shared directly with Regional council if needed. Each HALO system starts with a Gateway base statIon, incorporaIng a GSM data connection. This GSM connection communicates all on-farm data directly to our cloud based servers. Software and system updates are taken care of via this link also. 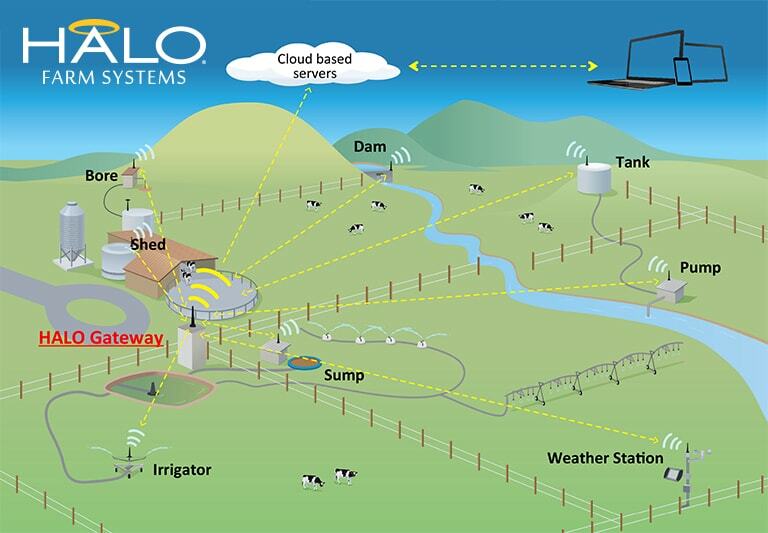 To include mulIple data points across the farm we have created a low cost, high performance radio platform. HALO transmits via a mesh of repeating radio nodes each of which have the ability to record and transmit data as required. All data is made available via our secure, online HALO Dashboard. 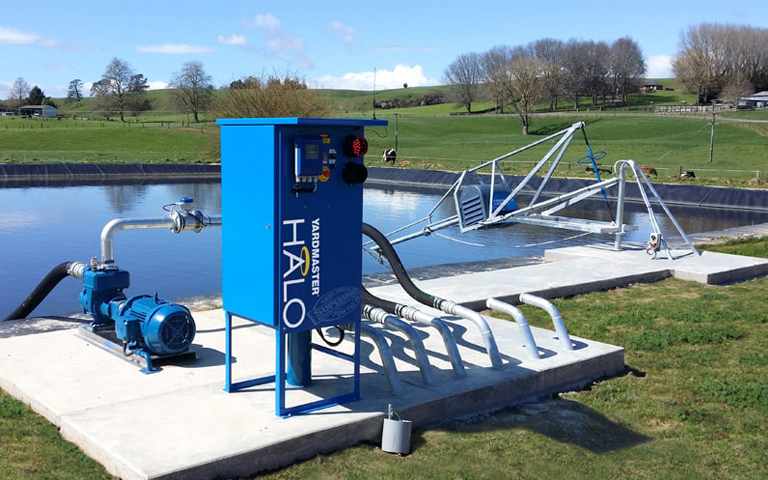 This HALO platform has the capacity to work seamlessly with our wider suite of farm management systems. Monitor milk vat storage, primary cooler efficiency, water usage, tank storage, silo level alerts, weather stations and much more.